We stumble upon Bondi Ramen which unsurprisingly is in Bondi Junction. Not too shabby. Dawdling around Bondi Junction with a couple of south of the border visitors gets to be hungry work. Once the beers at the Bondi Icebergs had worn off our thoughts, as always, focused on the next thing we would stick in our gob. 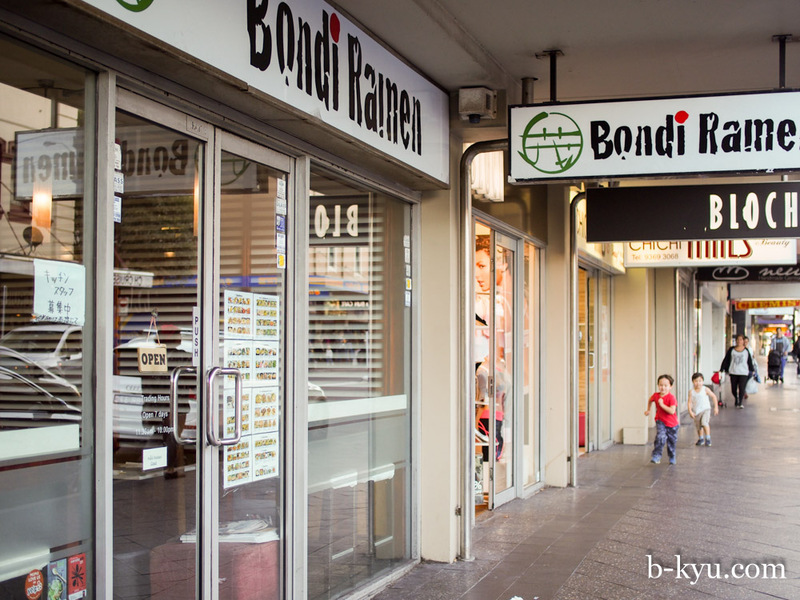 Bondi Ramen appeared before us as we strolled the mall filled with Sunday slap happy shoppers. We'd like to give the place another visit before writing a post however we're short on time right now, life's been getting a bit busy to do full on '10 visits before we post' affairs. 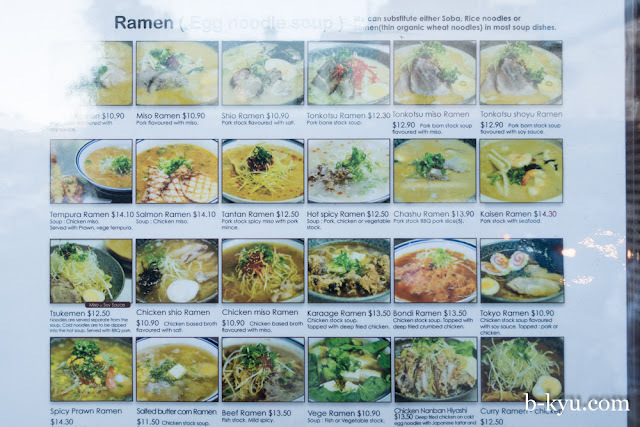 So far we like what we tasted here, we're not blown out of the water, but we're keen to come back to try the tonkotsu and a Tokyo ramen, for starters. 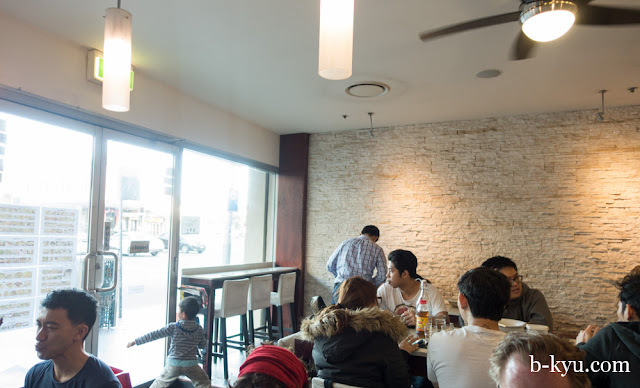 Bondi Ramen appears to be Japanese operated which is always a good sign, the back of house chatter is always a good indication of the background of the staff and usually, the cooks too. It was still t-shirt weather in Sydney in mid June, so some summer style cold noodles was totally spot on weather wise. Chicken nanban hiyashi - $13.50. 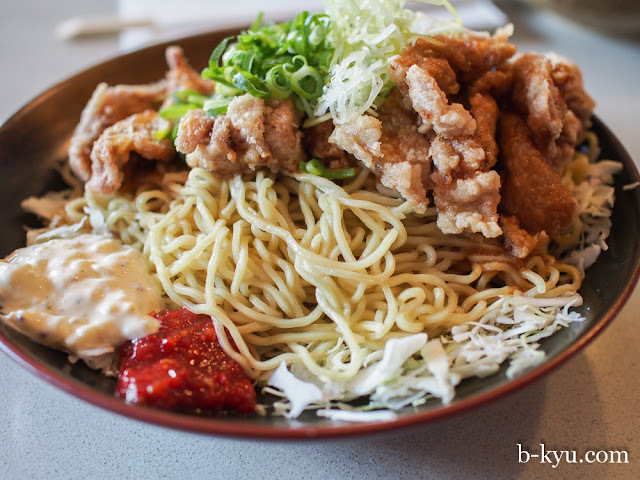 deep fried chicken on cold egg noodles with Japanese tartar sauce and a bright red dollop of chilli sauce. While the tartar sauce didn't quite work, the chicken and noodle combo certainly did. 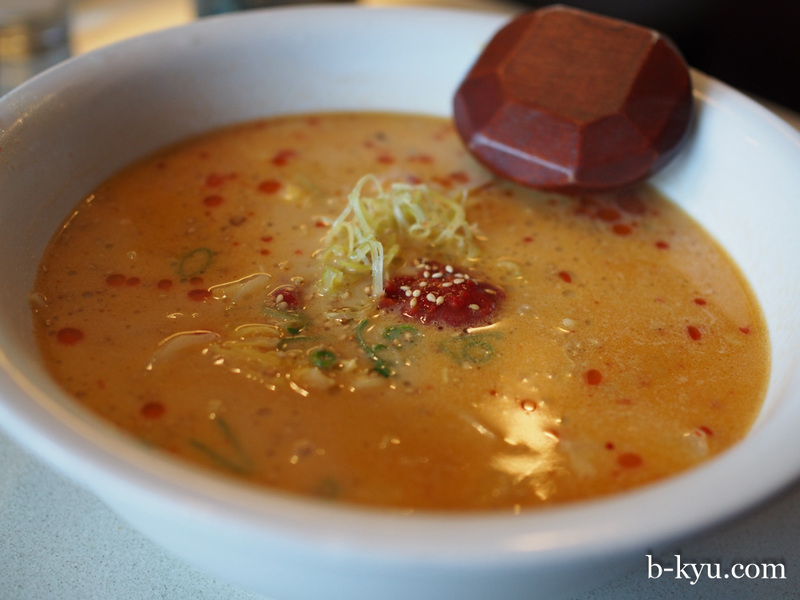 Chicken miso ramen - $10.90. Chicken based broth flavoured with miso. We didn't try this because it was Tony's soup and Tony has Melbourne germs. But Tony reckoned he'd give it a Tony, if he was that way inclined. And that's good enough for us. Tantan ramen - $12.50. A a rich pork broth with miso, chili, pork mince and a little Sechuan pepper. pork stock spicy miso with pork mince. 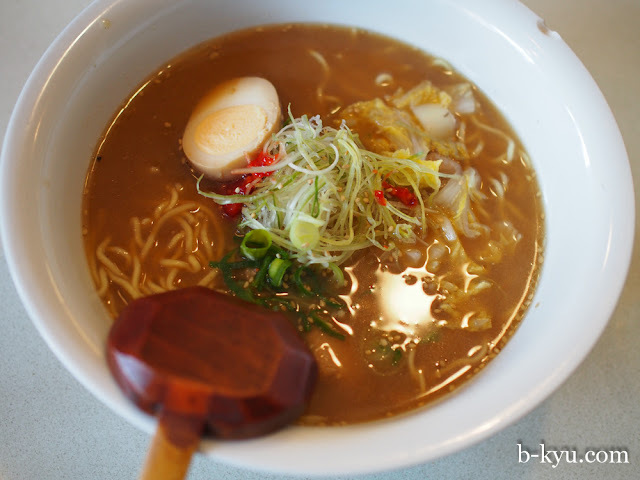 It's based on the classic Sichuan Chinese dish, dan dan noodles. Dinner Winner. Here's the ramen section of the menu. Bondi Ramen is at 33 Bronte Road, Bondi Junction. Or thereabouts. We think Ramen Kan once lived in this shop, pretty sure. 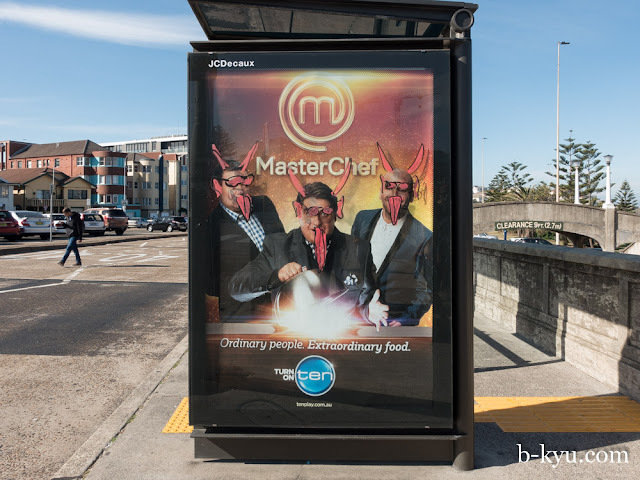 What Bondi hipsters think of MasterChef.